Performance reviews are a hassle for everyone involved. Supervisors have to deal with an onslaught of paperwork and meetings, but employees who only get assessments once or twice a year can often feel as if they are working in a vacuum. 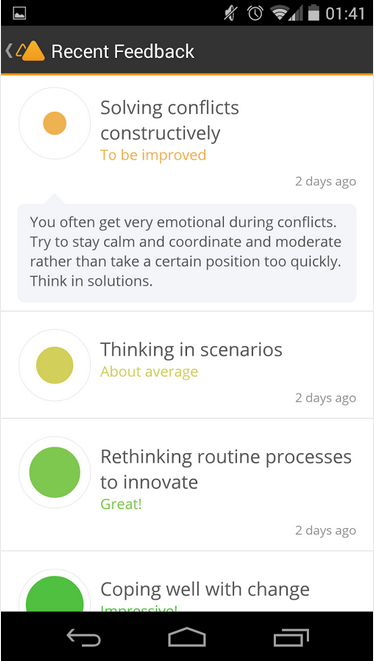 A startup called Impraise wants to change the way workplaces approach performance reviews. 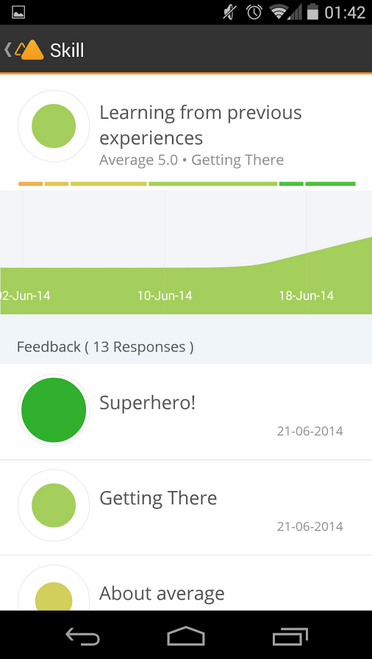 Part of Y Combinator’s latest batch, Impraise is an app that lets co-workers share feedback as often as needed. Steffen Maier says that he and Impraise’s other co-founders, Bas Kohnke, Filipe Dobreira, and Arnaud Camus, were inspired to create Impraise because of the lack of feedback they received at their previous jobs. “We realized that we were working with many talented people and most of them were very eager to learn and make progress in their career. But we also noticed that we were missing a lot of learning opportunities just because we didn’t dare give feedback face-to-face. We basically quit our jobs because we were provided with very little learning opportunities,” Maier said in an email. Maier cites research by Bersin by Deloitte that shows 58 percent of human resources executives think the performance management process they currently use is an ineffective use of time. “There has been very little innovation in HR software, specifically performance management. Many tools and processes haven’t changed for 20 years. Many tools have a terrible user interface as they are very complex and time-consuming. In many companies the business has to stop for a week because everyone has to write peer reviews and HR spends weeks on analyzing them,” says Maier. Feedback is kept anonymous by default, but users can also attach their names to an evaluations. Impraise has to compete with existing performance management software like Work.com (which started out as Rypple before it was acquired in 2011 by Salesforce), but Impraise’s founding team believe its mobile-first approach will help it stand out from its rivals. The app monetizes with a subscription model and can be tested out for free.